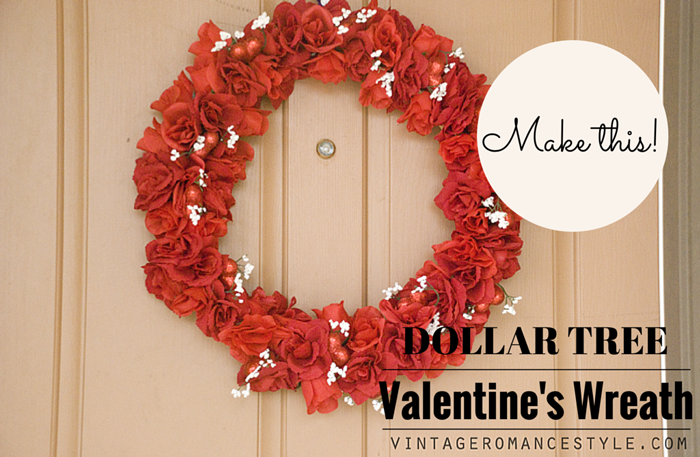 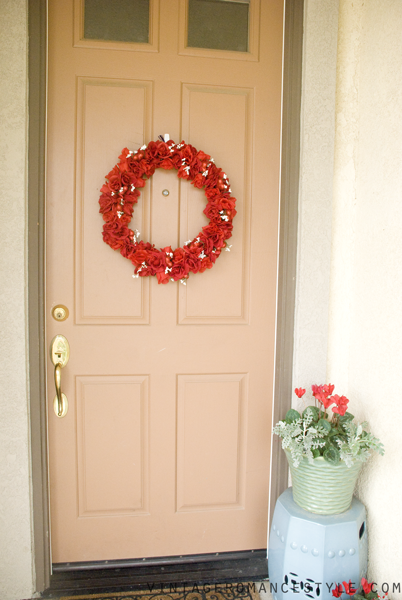 Grab a wooden wreath from Dollar Tree and the Valentine's roses with glittered hearts and baby's breath in it. 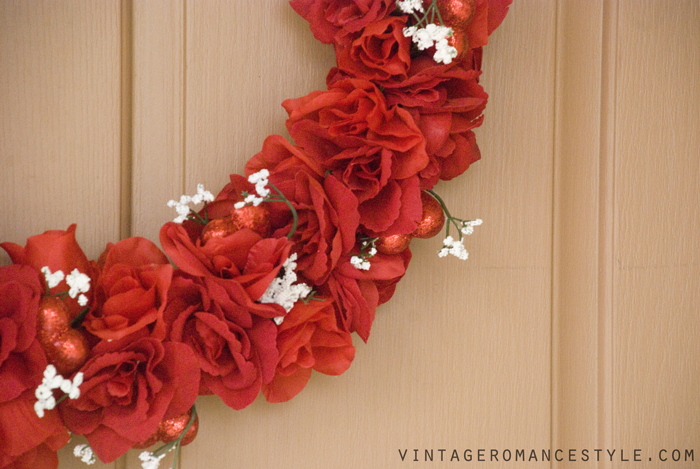 Cut the roses and baby breath down to size and hot glue them all over the wreath until you have covered every angle. The more you add the bigger and fluffier it will be! 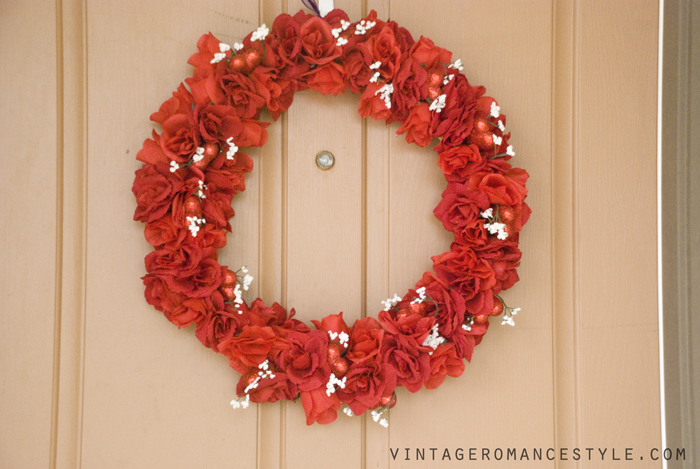 Once you are done covering the whole wreath, tie a small loop with the ribbon for hanging. 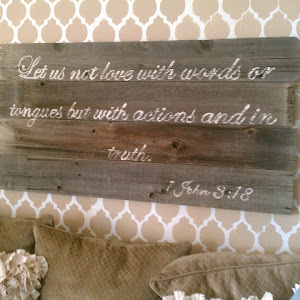 Sorry I didn't snap a picture of it. 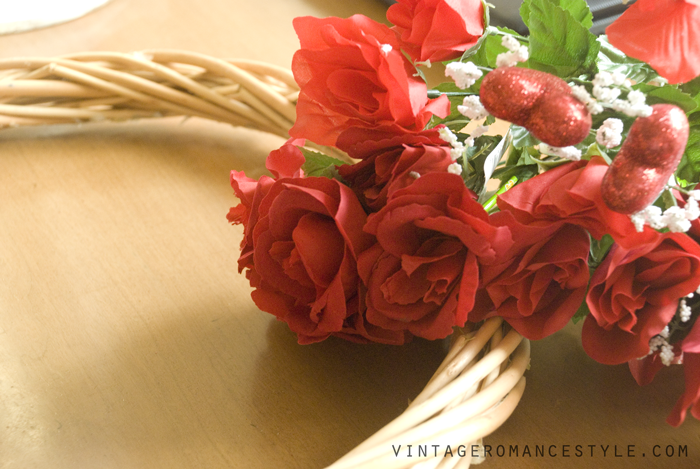 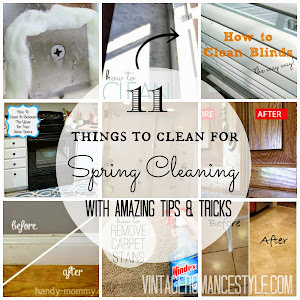 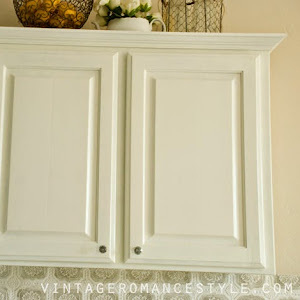 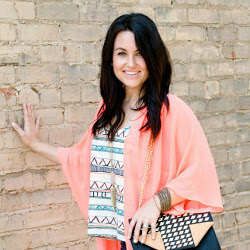 Just place the ribbon under one of the wooden pieces of the wreath! 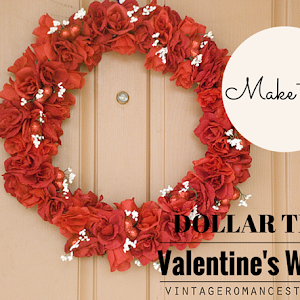 This year I chose to make a simple Valentine's wreath using only supplies from the Dollar store. 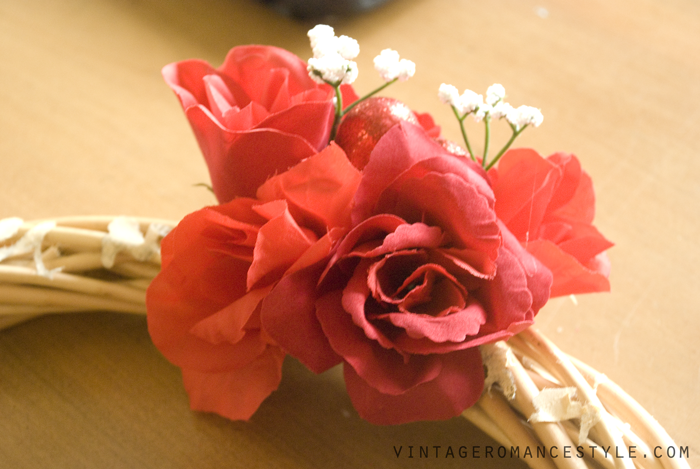 Last year I made a hot pink flowered one. 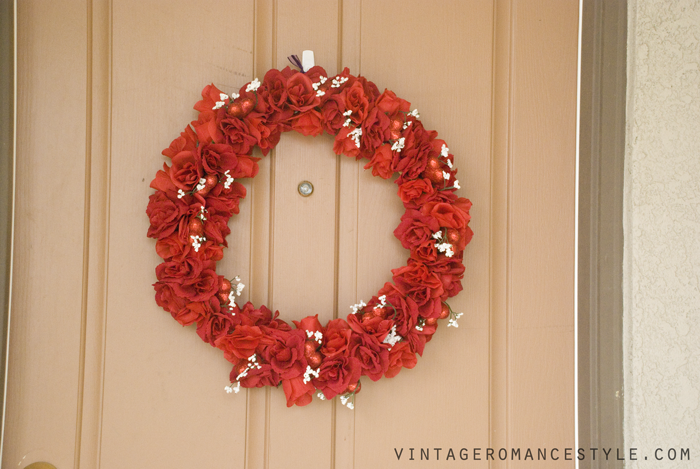 You can do this with ANY flowers from the Dollar Store for about a $15 wreath!